oh dear.. not a happy pirate. 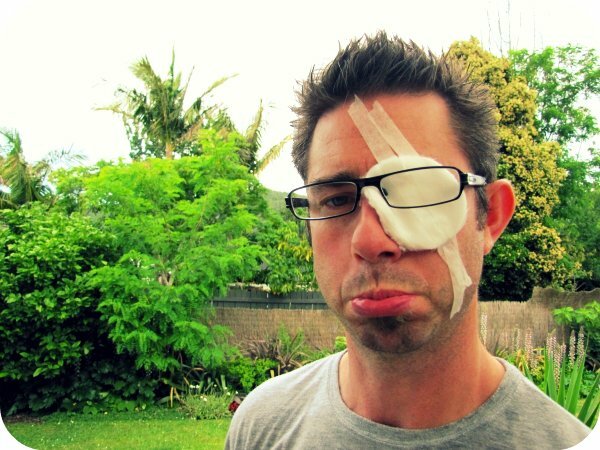 Hope his eye is ok.
Now that's a realistic looking pirate! Just kiddnig, hope he feels better soon. I am with Dawn, that does not look like a happy pirate costume!!!!!!!!!!!!! Happy WW, and hope the eye is recovering! does not look like much fun for the pirate! oh dear! curious how THAT happened! I had that look one year due to splashing nail polish remover in my eye - nice one eh! Hope he didn't do the same! Did he misbehave one too many times ? Awww poor thing. Hope he gets better soon! Oh dear. Not a happy camper! Oh, oh, somebody has a boo boo! oh no is he ok ?